For New York artist Gary Cruz, the creative process begins with the camera on his phone. The Wholesalers series is based on images taken while wandering the garment and flower districts of New York City. The photographs have their origins in the dizzying abundance of offerings spilling over onto sidewalks, crowded into storefronts and overflowing shops, and on the urban landscape reflected in their glass windows. In stark contrast to the immediacy and spontaneity of a camera phone, the work in the studio is a slow and deliberate editing process. 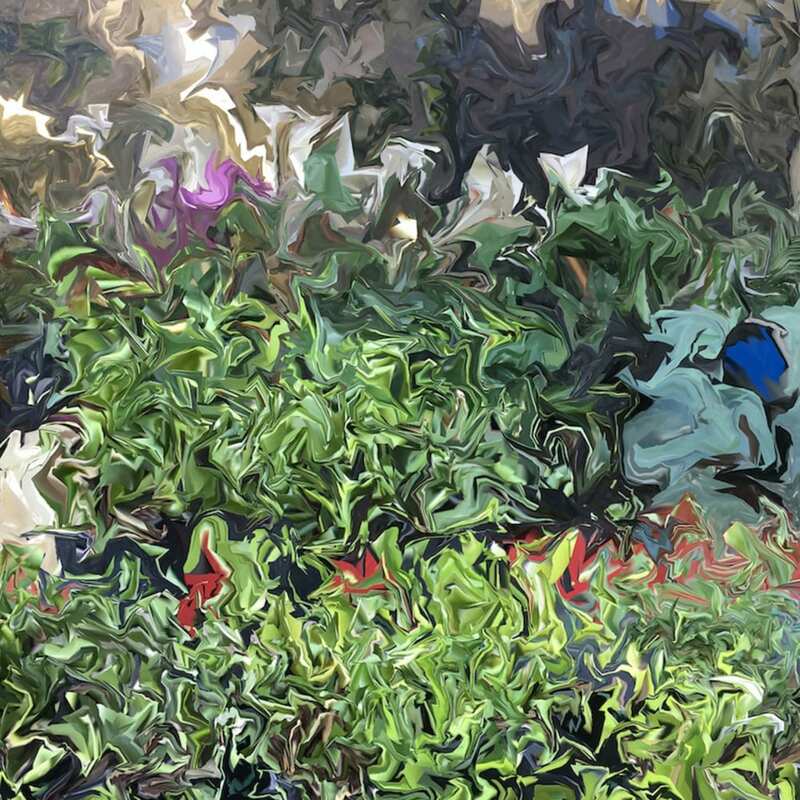 Each image is digitally manipulated; its forms and colors are pushed, pulled, fragmented, swirled and swiped using an array of computer programs and applications. Trained as an architect and designer, Cruz has a particular interest in creating and conflating depth within the pictorial plane. The final images compress space; back is front, outside is inside. Past, present and future coexist simultaneously, space is ambiguous. The works embody the duality of contemporary photographic techniques and the tradition of gestural painting. Cruz earned a degree in architecture from University of Texas, Austin, TX, attended Bronx Museum of the Arts, AIM Program, Bronx, NY. The artist is a recipient of the Pollock-Krasner Grant and Robert Rauschenberg Change Inc. Grant. A native of Texas, he now lives and works in New York City.